You will also need 8 skewers and aluminum foil. In a small mixing bowl, combine extra virgin olive oil, fresh garlic, lime juice and lemongrass paste. Season with sea salt and black pepper. Wash mahi-mahi and dry. Rub 1/2 the lemongrass and extra virgin olive oil mixture generously on the fish. Set aside to marinade for 1 hour. 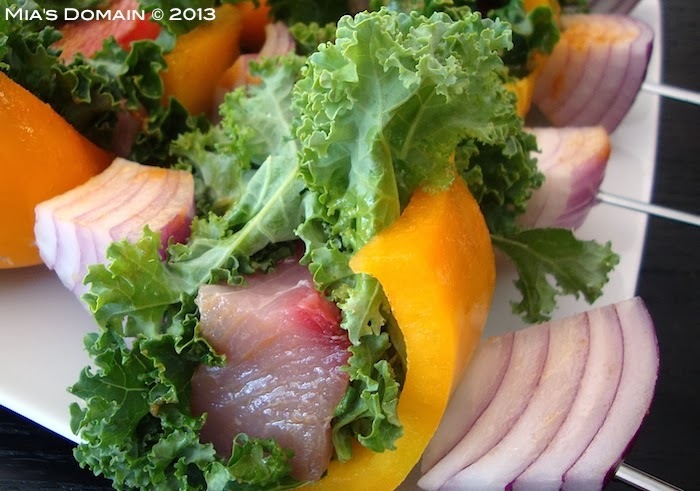 Cut yellow peppers/capsicum and onion into equal size large chunks to ensure even cooking. 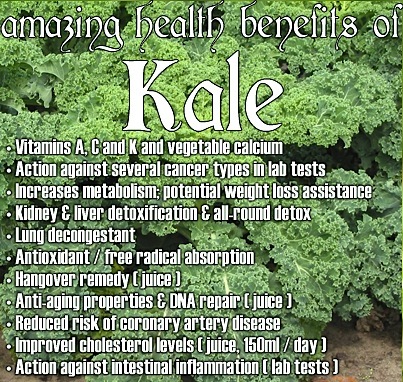 Remove the hard rib off the kale. Cut fish into equal size large chunks. Assemble kebabs (refer to the picture). Brush generously with the remaining lemongrass oil (leave some aside for serving). Season with sea salt and black pepper. Place on a sheet of aluminum foil. Place a single kebab on the foil and wrap tightly so that the juices don't leak out when it's on the grill. Preheat barbecue to 400 F on medium heat. Place kebabs on the barbecue and cook for 10 minutes. Open up a small portion of the aluminum foil to make sure everything is cooked to your liking. Remove from the barbecue. Serve hot. Remove the hard stem off kale leaves and finely chopped. Combine all the ingredients in a large salad bowl. Season with sea salt and black pepper. Keep chilled. Blend lemon zest, juice, and mustard to combine. With the blender running. 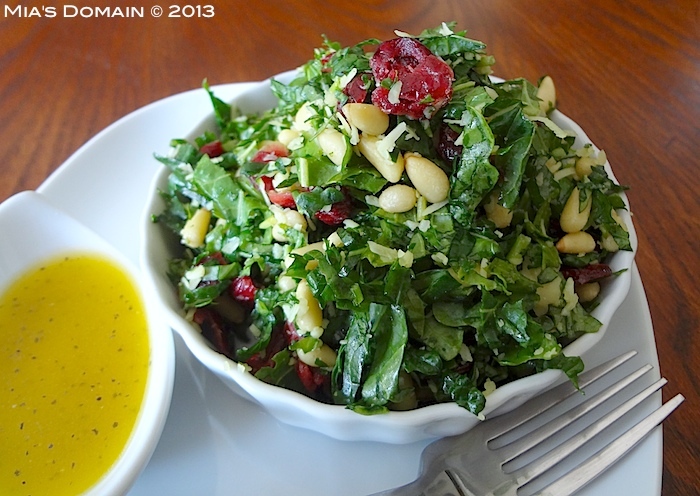 drizzle in olive oil until vinaigrette is thick and creamy. Season with sea salt and black pepper. Drizzle some over chilled salad and serve immediately with the rest of the dressing on the side. What's Your Favorite Way to Eat Fresh Summer Tomatoes? Combine all the dry ingredients. Cut butter into the dry ingredients until it resembles large crumbs. Add enough cold milk to form a dry dough (about 1/2 to 3/4 cup). Press half the dough into a medium size cookie pan and spread the preserve to cover the top. Scatter the rest of the dough over the top and bake for 40 to 50 minutes. Remove from the oven to cool completely. Combine powdered sugar and lemon juice to make a frosting and drizzle over the top to set. Slice into bars. Keep refrigerated in an airtight container. 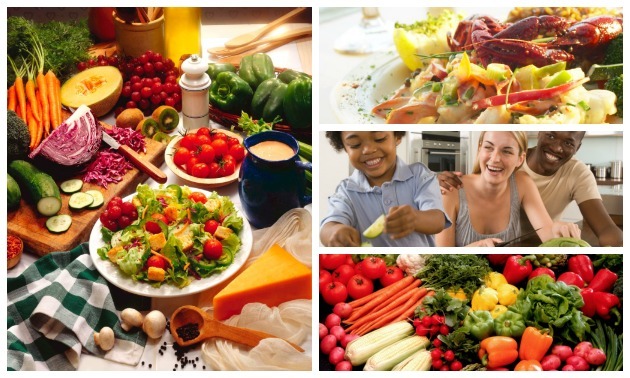 Bring Back Food Education Where It Belongs -- In Our Schools! 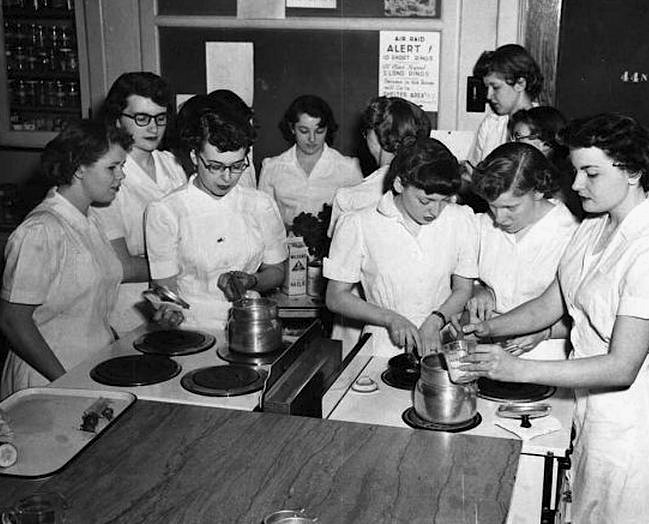 Back in the dark ages (my junior high school years in Baltimore), food education was mandatory for every girl. While the boys were hustled off to shop class and the sublime opportunity to saw off a finger or hammer a nail firmly in their thighs, the girls were ushered into a fully decked-out modern kitchen to cook adult things that gave off heavenly aromas. It sure beat my Easy-Bake Oven! We even had our own aprons -- homemade from sewing class (when I accidently sewed my apron strings together my mother secreted it off to the tailor for repair). While sewing wasn't everyone's cup of tea, and surely wasn't mine, cooking instruction seemed universally beloved. Sure it was an era of rampant sexism, with society assuming women would handle all household chores while the men pounded away in their garage workshops until they were called for dinner. But I remember that the boys were jealous. Who wouldn't be jealous, learning that half of your classmates had just prepared and eaten chicken potpie while you were sanding a birdfeeder? The boys would have to walk by the home economics kitchen after finishing shop class and the aromas drove them crazy -- apple cobbler, chicken soup, biscuits, beef stew, pancakes and more. Thanks to those blatantly sexist cooking classes, I've always enjoyed cooking -- and pitied the poor boys for missing out. And what I learned from school cooking instruction has served me well for decades as a grocery shopper, a cook and an adventurous eater. So I couldn't help but cheer when I heard that Jamie Oliver's Food Foundation and the organizers behind Food Day (Oct. 24) are collaborating on a new national initiative to put food education in every school, for every child. Why critical life skills like food education and cooking were ever eliminated from many districts is beyond my comprehension. But it's easy to see the damage wrought, beginning with the fact that a third of our kids are either obese or overweight. There's nothing creepy about growing meat in a lab. But there is something more inherently creepy about the way Big Agriculture deal with the animals that we eat. ... They live a horrible life, and they often die quite cruelly. Lab- cultured meat can play an important role in the future: Not only could it help feed the planet, but it could also help solve environmental problems stemming from conventional meat production. So the idea of being able to eliminate some of that is extremely exciting to me. Combine all the ingredients. 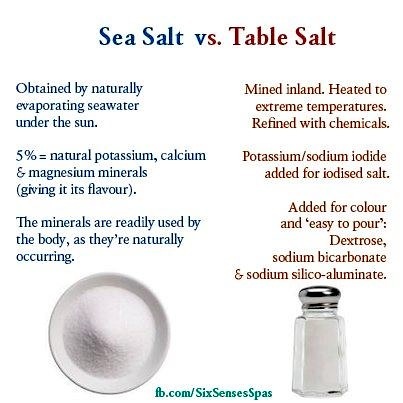 Season to taste with sea salt and black pepper. Marinade chicken for three hours. Bring chicken to room temperature 20 minutes before cooking. Arrange chicken in a single layer and brush with extra marinade. 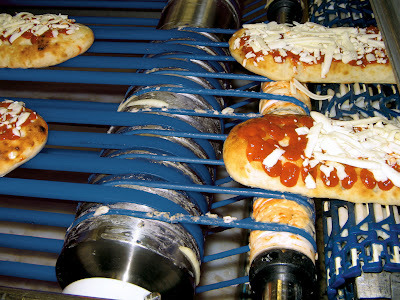 Grill for 8 to 10 minutes or until cooked, turning over occasionally during cooking. Serve immediately with fresh herbs and extra olive oil over the top. 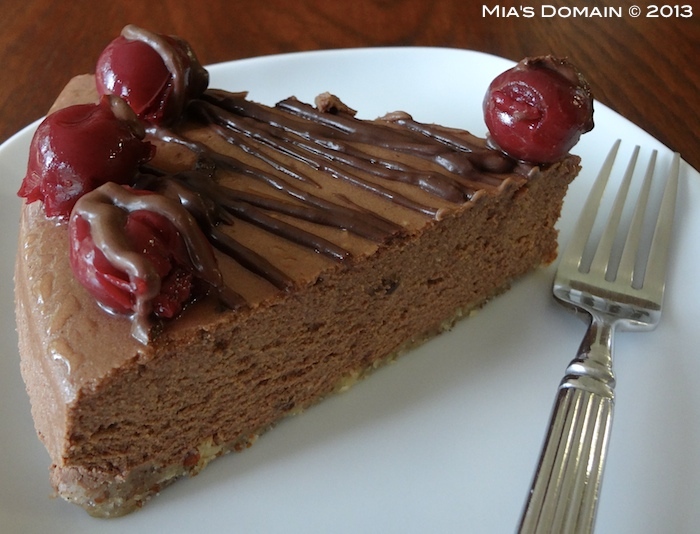 This is a cheesecake to die for; sinfully rich and utterly delicious. 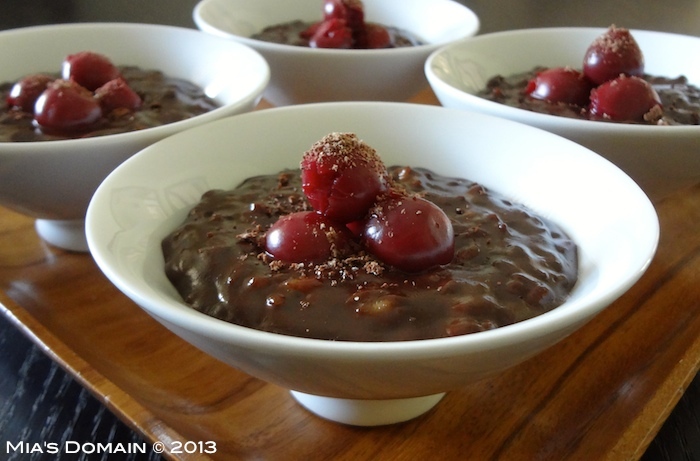 Serve in small portions and garnish with chocolate drizzle for a spectacular presentation. Combine almond flour, oats, chopped almonds, and melted butter. Press into a round springform pan. Bake for 15 minutes. Set aside to cool. Place cream cheese and sugar in the mixer at medium speed and beat until smooth and creamy. Add eggs, one at a time, beating well after each addition, followed by sour cream, chocolate powder, melted chocolate, and vanilla bean. Pour mixture into the pan and bake for 45 minutes. Turn off the oven. Leave the cheesecake to cool completely with the oven door closed before you take it out. Keep refrigerated. 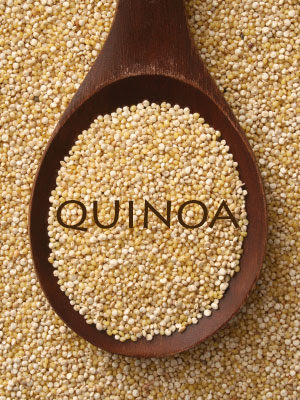 Is Fair Trade Quinoa A Real Thing, Or Has The Superfood's Popularity Hurt Those Who Grow It? The appetite of countries such as ours for this grain has pushed up prices to such an extent that poorer people in Peru and Bolivia, for whom it was once a nourishing staple food, can no longer afford to eat it. Imported junk food is cheaper. In Lima, quinoa now costs more than chicken. 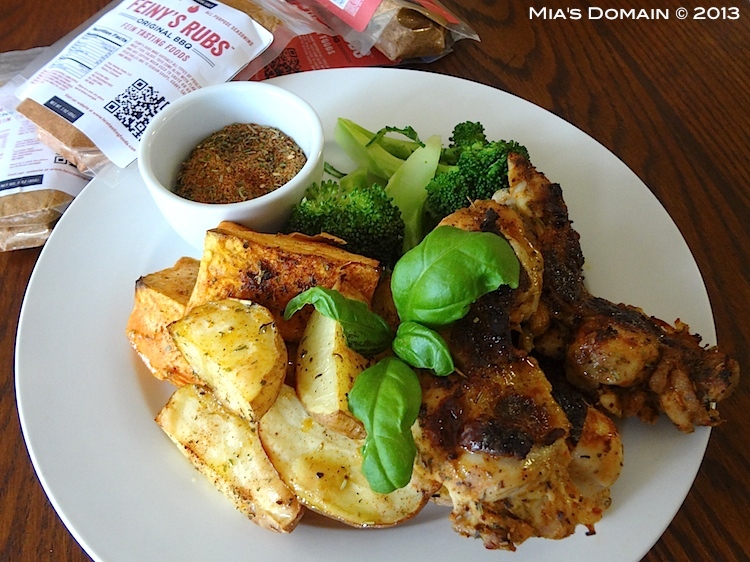 t's all about outdoor grilling during the summer months for my family and I. Grilled Thai Chicken is a favorite. Use your favorite brand of Thai paste and be aware that they vary greatly especially in heat factor. Do you have a summer favorite? Combine all the wet ingredients. Season with sea salt and black pepper. 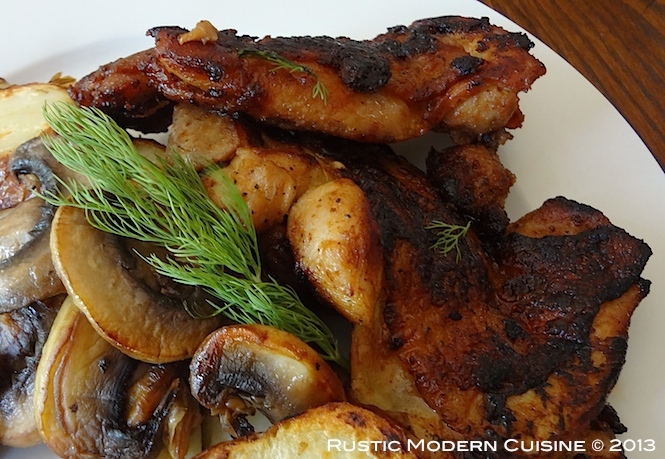 Marinade chicken in room temperature for up to 30 minutes. Arrange chicken in a single layer and brush with extra marinade. Grill for 8 to 10 minutes or until the chicken is cooked. Serve immediately with fresh herbs and extra olive oil over the top. Thierry Vrain retired 10 years ago after a long career as a soil biologist and ended head of a department of molecular biology running his own research program to engineer nematode resistance genes in crops. In his retirement career as a gardener he learned five or six years ago how the soil ecosystem really functions and have been preaching ever since. He find himself with a good knowledge of genetic engineering technologies surrounded by people in fear of being hurt by the food they eat. He found that he cannot ignore them anymore and has joined the campaign to educate consumers about the potential health problems reported in the recent scientific literature. Combine all the ingredients in a blender and blend until smooth. Add more olive oil if pesto is too dry. Season with sea salt and black pepper. 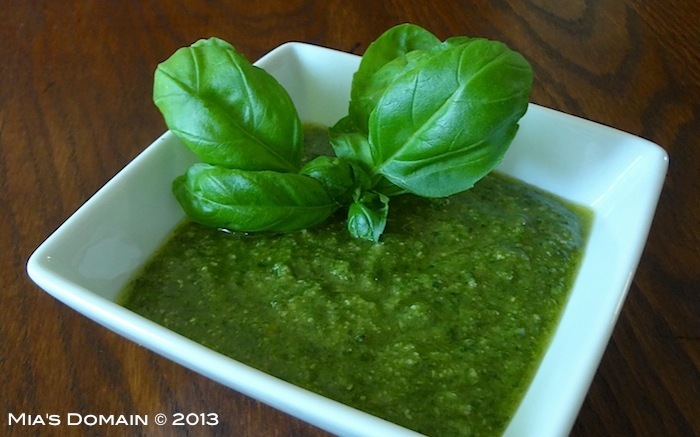 To store, pour into an airtight container and press cling wrap directly on top of the pesto to prevent it from oxidizing. It will keep for up to five days in the refrigerator. 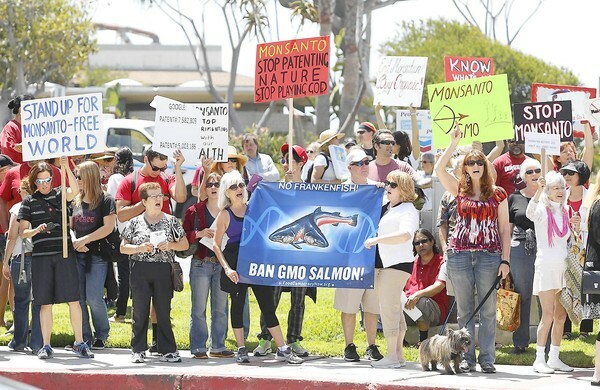 Is Outrage Over the Monsanto Protection Act a Turning Point for the "Real Food" Movement? In March, when I first wrote about how the biotech rider -- called the Monsanto Protection Act by its vocal opponents -- undercut the constitutional concept of separation of powers, it seemed hardly anyone (other than the usual advocacy groups) was paying attention. But then a lot of people got mad, really mad. Within a few short weeks the issue exploded in the mainstream media, with the surest sign the issue had hit the big time being (what else?) coverage by The Daily Show (hilariously titled, "You Stuck What Where?"). Another indication was outrage even from a Tea Party blogger. Quick refresher: Biotech companies have to get permission from the U.S. Department of Agriculture to plant new genetically-engineered crops. In recent years, groups such as the Center for Food Safety have been gaining traction by filing lawsuits challenging federal approval, thereby stopping some novel crops from being planted when courts agreed that USDA failed to conduct proper environmental oversight. Heilala Vanilla began as an aid project to assist a village in one of the most beautiful and remote places on the globe, Vava'u Islands, Kingdom of Tonga. The family fell in love with the people and the environment, and using their horticultural background and research facilities in Tauranga, New Zealand they established a Vanilla Plantation. A partnership of people, united by their passion for the worlds most sensual and exotic flavour and aroma. I received a sample pack from them a few weeks ago and I am hooked. The story of a Tongan aid project that blossomed into a business that has executive chef’s and foodies who can’t get enough of Heilala Vanilla. Meet the Boggiss and Ross family. John Ross, his daughter Jennifer and her husband Garth. They started Heilala Vanilla in 2002 and still own and operate the business today. Before 2002, John was a retired dairy farmer, Jennifer was an accountant and Garth worked in IT. They worked a dormant piece of land in Utungake, Tonga gifted to them by the local village. Little did they know at the time that the piece of land was destined for something great. John and Garth put to practice their horticultural know how to kick start the plantation by researching countries around the world that grew vanilla in the narrow band 20 degrees on each side of the equator. The plan was to help to provide the locals with employment and hope that the demand for vanilla blossomed. It then took three years to develop and nurture the vines through the on-going art of careful training, weeding and looping, all while ensuring organic sustainable farming was being practised. John who was once a frequent holiday maker to Tonga is now virtually a local spending up to six months a year at the Tongan plantation. In 2005 the first 40kg harvests of Vanilla pods were ready. Time passed, the plantation went from strength to strength harvesting a healthy two tonne in 2010. All the tender love and care has resulted in the richest grade of Vanilla in the Asia Pacific region with its distinctive aroma, shine and plumpness coveted by chefs all around the world. An annual crop is brought back from Tonga to the company’s base in Tauranga, New Zealand. Heilala Vanilla is then packaged for each order; the Pure Extract and Vanilla Paste, Syrup and vanilla bean sugar are manufactured, and dispatched to Executive Chefs, gourmet food manufacturers and a selection of specialty retail outlets. Several years have passed and the plantation has matured, but the research and development of more exciting 100% pure vanilla ideas continue. The practice of true sustainability with the local village also continues and has enabled resources for education and infrastructure, which the community otherwise may not have had. It is recognised by the local Agriculture Ministry as a true example of a Pacific partnership in practice something that is rather special to us. Tasting vanilla creations are something we never get bored of. We now have a small plantation in Tauranga which is a great opportunity for chefs and media to come and visit and get a feel for the most labour intensive crop on the planet. The Deadly Fake Fat Lurking in the Supermarket -- Still! Artificial trans fat -- the kind that comes from partially hydrogenated oil -- has been called a "metabolic poison" and the "most dangerous fat in the food supply." It promotes heart disease by raising one's "bad" cholesterol (LDL), which clogs arteries, and lowering one's "good" cholesterol (HDL), the kind that guards against heart disease. According to the Institute of Medicine, there is no safe level for trans fat intake, and the American Heart Association recommends limiting it to less than 2 percent of calories per day. That's about two grams. Unless you're a vegan, that's about as much as you can expect to get from the smaller amounts of naturally-occurring trans fat in milk and meat. In other words? There's no room in your diet for anything partially hydrogenated. Since 2006, when the federal government required trans fat to be listed on nutrition facts labels, most responsible manufacturers of processed foods began reformulating their product lines to get rid of artificial trans fat. (And fortunately, these reformulated products typically end up lower in saturated fat as well as trans fat.) But as a new paper published in the peer-reviewed journal Preventing Chronic Disease (I'm a co-author) shows, some stubborn manufacturers are still sticking with this discredited industrial ingredient despite the consensus that it is dangerous and unnecessary. Cream butter and sugar until fluffy. Add egg and vanilla paste, beating well to combine. Turn mixer of and use a spoon to mix in the dry ingredients including chocolate chips. Drop teaspoonfuls of the cookie dough into the palm of your hand and roll into a perfect ball.Arrange in a single layer on a lined cookie sheet. Put cookie sheet in the middle rack and bake for 20 minutes. It seems everywhere we turn there's more scary news about the fish on our plates.Genetically modified salmon appears headed for supermarket shelves, even as a recent study revealed the salmon could escape into the wild and cross-breed, posing a huge environmental risk for wild fish populations. Another investigation uncovered the dirty secrets of the Thai seafood industry, a major provider of shrimp to the U.S, and one of the worst culprits for human trafficking. That's just the tip of the iceberg. Ninety percent of all shrimp on American plates is imported from Asia, where it is grown on farms using high levels of antibiotics and chemicals that damage surrounding ecosystems, not to mention diners. And while salmon farming is being proclaimed as the way of the future, Monsanto too sees industrial aquaculture as a growing source of revenue for their genetically modified soy feed. We can do better than this. There are healthy, sustainable fishing communities in our own backyard. So why, then, do we continue to support a seafood industry run on the backs of slaves? Why do we welcome factory-fed fish into our diets? Low food cost is the siren call. It was the promise of a lower cost, high profit protein source that makes Frankenfish seem like a good idea, and that never-ending shrimp buffet sure does taste good. When we turn a blind eye to where our food comes from in the name of convenience and price, we allow others to make our choices about what kind of food system we want to have. 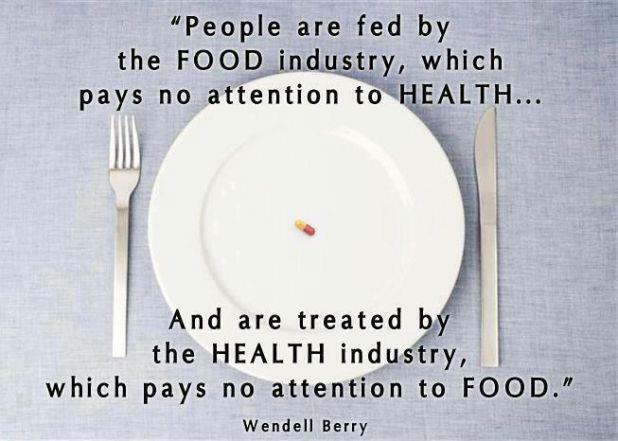 Ignorance may be bliss, but we can no longer afford to ignore the impact of our food choices. Combine apples, cinnamon and honey. Set aside. Combine all the dry ingredients. Cut butter into the flour mixture until crumbly. Drizzle in enough milk to bring the dough together. Divide dough into 12 equal size portions. Put a piece of dough in between two pieces of parchment paper and roll into a 6" round and place in a small tart pan. 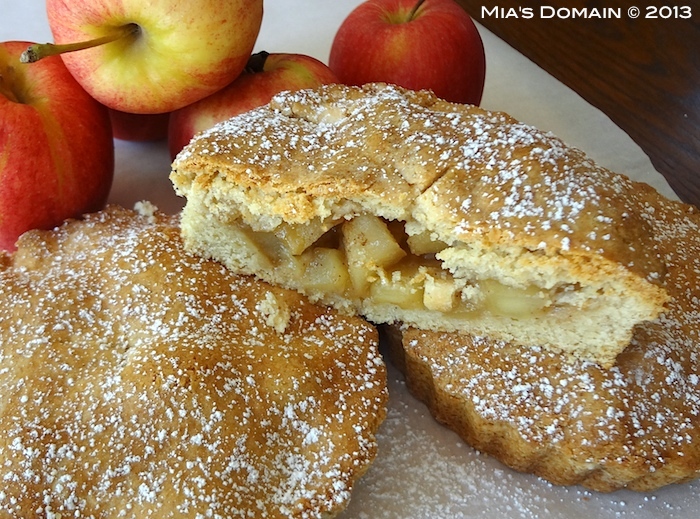 Fill with the apple fillings and add another piece of pastry to cover the top. Cut a small slit on top. Bake for 40 to 50 minutes or until crispy and golden. 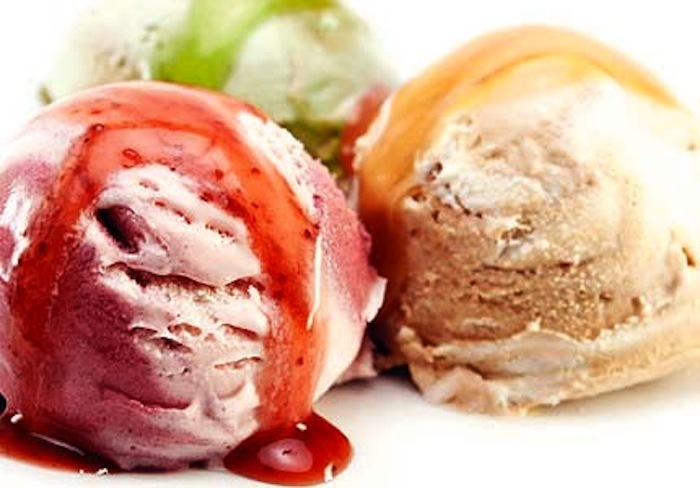 Did you know that Ice cream was once a delectable and nutritious dessert food, made from unpasteurized milk and cream? Now it contains pasteurized milk, agar-agar for thickening, mono- and di-glycerides for emulsifying, calcium carbonate for neutralizing, sodium citrate as a buffer, hydrogen peroxide as a bacteriacide, oat gum as an antioxidant, and various other chemicals for flavoring, such as amylacetate for banana and vanilidene kectone for vanilla. Add extra virgin olive oil to a large skillet. When hot, saute chili, shallot, cilantro, cumin, and garlic until softened. Add chicken and black beans. Season with sea salt and black pepper. Pre heat oven to 400 F.
Put one tablespoon of the chicken mixture in the center of a tortilla and sprinkle parmesan cheese on top. Roll up tortilla and place on a lightly greased cookie sheet, seam side down. Repeat with all of the tortillas until chicken mixture is gone. 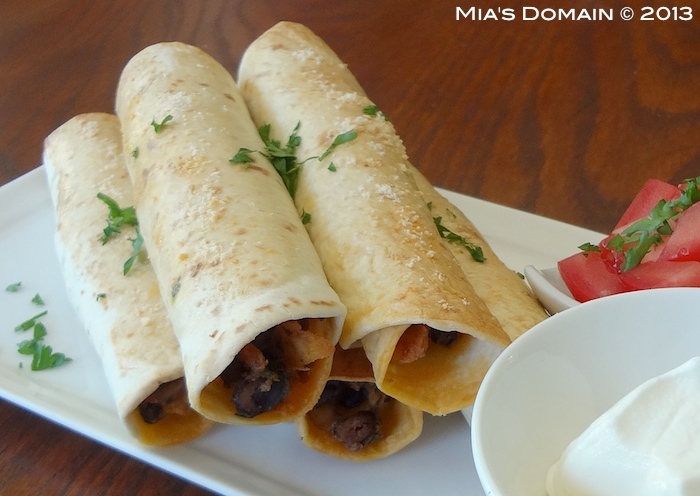 Sprinkle parmesan cheese over the rolled tortillas. Bake for 15 to 25 minutes, turning them over half way until crispy and golden brown. Enjoy hot with dipping sauce of your choice. Did You Know Salmon Dye May Be Damaging Your Eyes? Wild salmon gets its distinctive pink color from its krill-based diet. Farm raised salmon, without access to krill, is not actually pink. It's grey. Since no one wants to eat grey salmon, fisheries give the salmon a color boost by using artificial dyes in their feed. One such chemical, Canthaxanthin, has been linked to retinal damage in humans. Dyed salmon should be labeled as such in stores, but this law is poorly enforced. Ask your fishmonger to be sure. This is the same process as making regular risotto. Heat full cream milk in a pot on medium to high heat to a simmer. Reduce heat to very low to keep the milk hot during the whole cooking process. In a heavy-bottomed, deep sided pan, melt butter and saute the arborio rice to coat the grains (about 2 minutes). Add one cup of the milk to the arborio. Stir until all the milk is absorbed. Continue to add one cup at a time repeating the process until the rice is cooked (about 30 minutes). 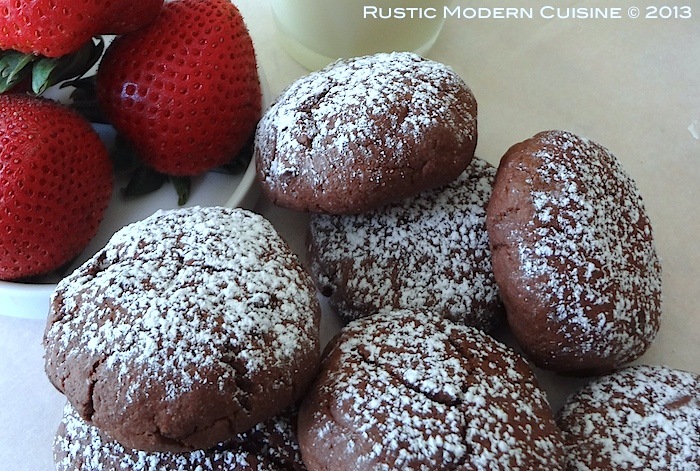 Stir in chocolate to melt and serve immediately with fresh cream, ice cream, or fresh berries. Blend until smooth. Keep refrigerated. Line a large baking sheet with parchment paper. Peel and cut sweet potato into large chunks. Cut eggplant into thick discs. 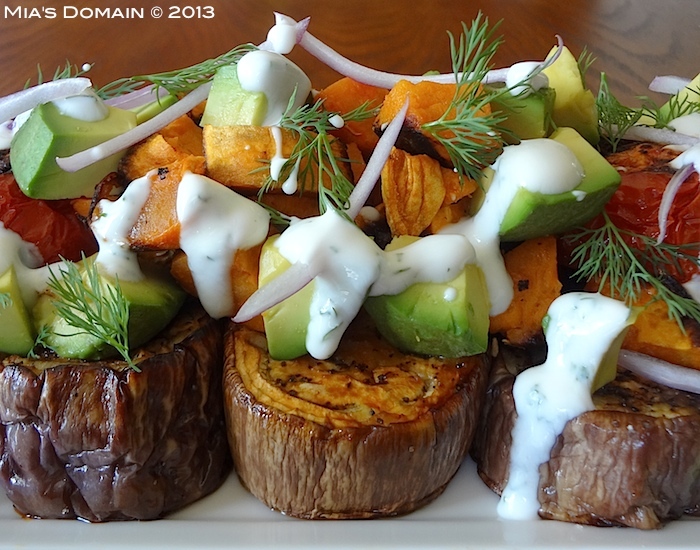 Coat sweet potato and eggplant in plenty of extra virgin olive oil. Season generously with sea salt and black pepper.Arrange in a single layer and bake until cooked (about 20 minutes) turning over halfway during co o king. Peel and cut avocado into large chunks. Remove veggies from the oven and arrange according to the picture on a large serving plate. 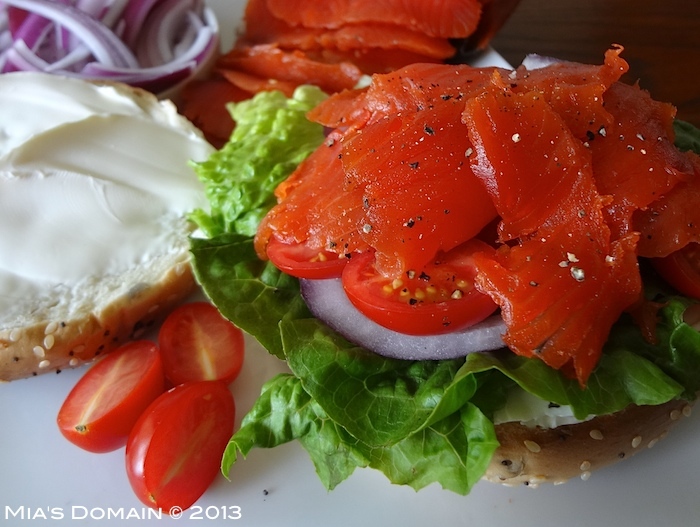 Drizzle extra virgin olive oil and creamy dressing over the top with fresh dill. Serve warm. This was an actual real life experiment conducted on a farm in the fall of 2012 to see if animals really can tell the difference between GMO corn versus organic (non-GMO) corn. 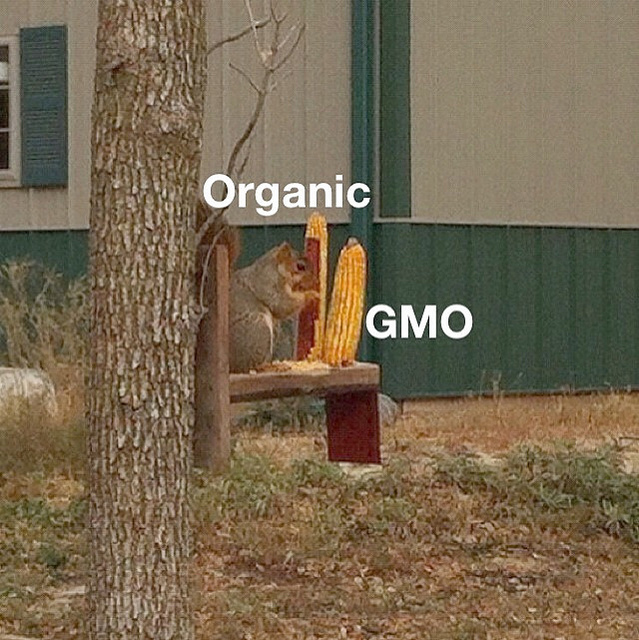 This picture is one of the five experiments that was conducted and every single time the squirrel always preferred the organic corn over the GMO corn. The squirrel always ate the organic corn up first then went to go eat on GMO corn last. They also used different varieties of both organic and GMO corn every time just to rule out the possibility that maybe the squirrel was getting to liking one variety over the other but to their complete disbelief he still always preferred to eat on the organic corn more! The results even surprised me. When we think of baking a colorful tart, we generally turn to fruit, chocolate and other sweet variations. In our effort to put more vegetables into everything (because we really, really like them) we want to remind you of how delicious, beautiful and impressive a great vegetable tart can be. Have a spring brunch you need to pull together? Vegetable tart it up. Need to make lunch for friends? 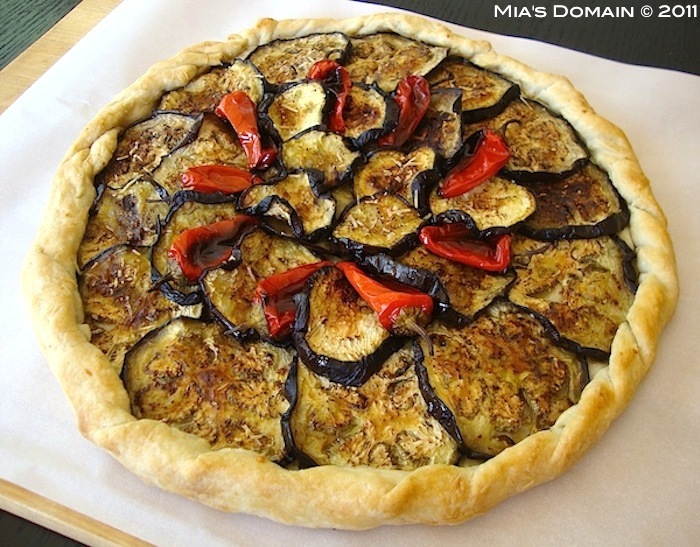 We'd recommend a vegetable tart recipe. Light dinner? Well... you probably know where we're going with this. 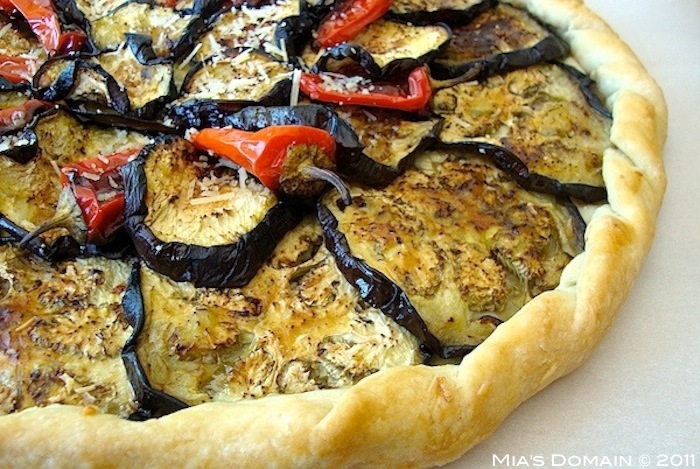 Making a savory vegetable tart also allows you to include one of our favorite ingredients in your recipe: cheese. Which vegetable will you make your next tart with? 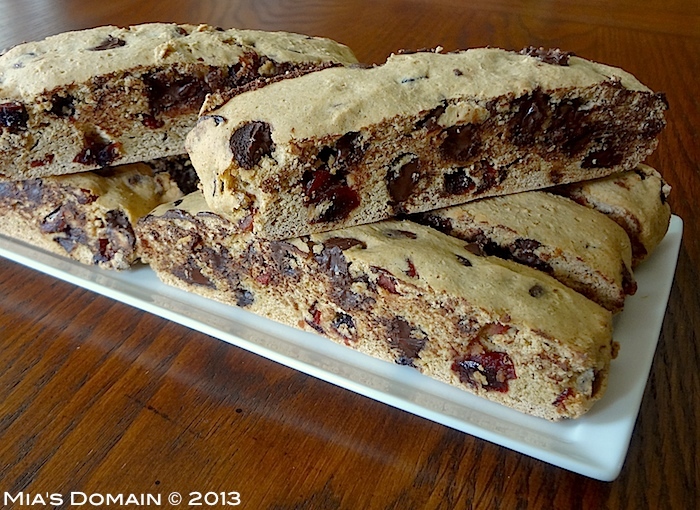 Combine all the dry ingredients including chocolate chips and dried cranberries. Beat sugar and eggs until light and fluffy and add to the dry ingredients to combine. The dough will be very sticky so wet your hands to form dough into a log and press down to about 1/2" thickness on a lined cookie sheet. Bake for 40 minutes. Remove from the oven. Cut lengthwise when it's cool enough to handle with a very sharp knife. Bake a further 20 to 30 minutes or until dry and firm to touch. Butter and flour 6 small ramekins. Prepare your basic roux by melting butter in a pan on medium heat, add flour and cook, whisking constantly until it just begins to turn a light brown color. Heat milk until hot, but not boiling. Add a small amount of roux into the milk and mix, then add the milk mixture back into the roux. whisking constantly until it started to thicken and bubbly. Lower heat to low, add a small amount of the roux to the egg yolks, whisking constantly to combine. Add the yolks back to the sauce whisking well. Whisk the cheese in slowly until melted. Season with sea salt and black pepper. Set aside. Whisk egg whites until soft peaks form and fold into the cheese sauce (don't mix!). 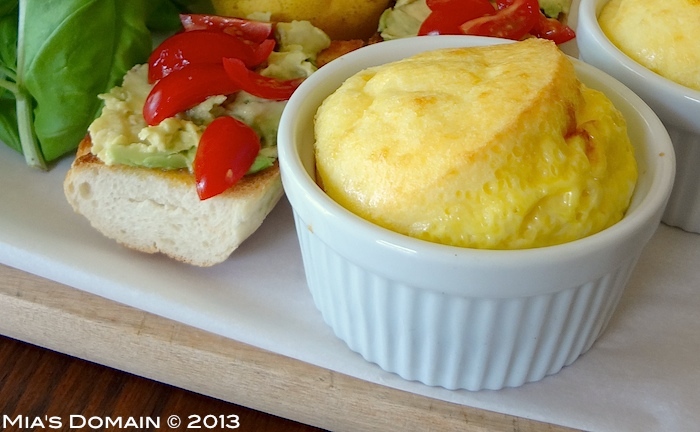 Pour into ramekins and bake for 30 to 35 minutes or until fluffy and golden. Serve immediately. In a deep sided skillet on high heat, cover the bottom with extra virgin olive. When hot, add shallot, tomatoes, garlic, and parsley. Season with sea salt and black pepper. Sauté until soft (about 2 to 4 minutes). 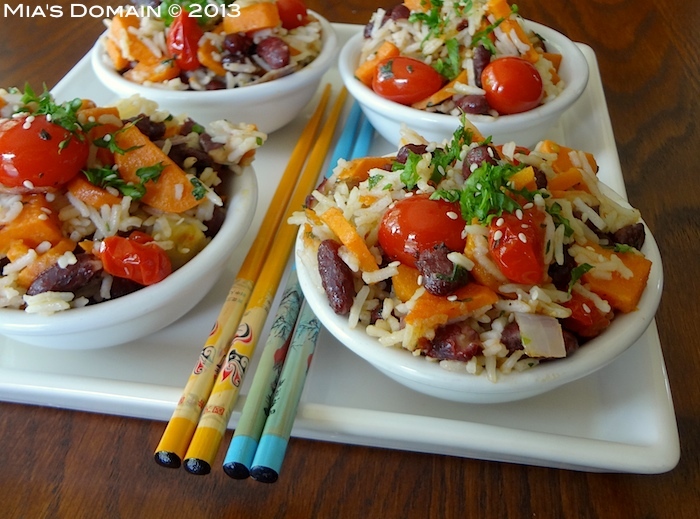 Add rice, beans, and sweet and toss well to combine. Season with sea salt and black pepper. Drizzle extra olive oil over the top to serve. Garnish with fresh herbs. You've heard of pink slime. 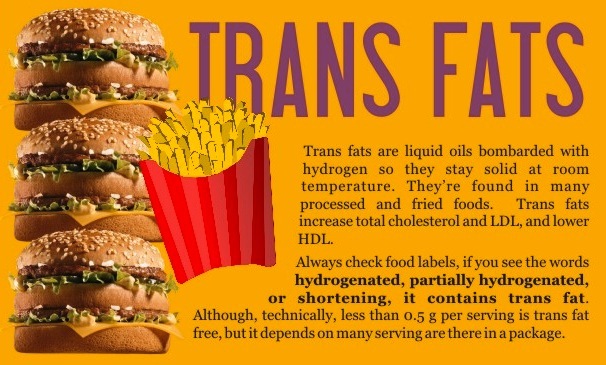 You know trans fats are cardiovascular atrocities. You're well aware that store-bought orange juice is essentially a scam. But, no matter how great of a processed-food sleuth you are, chances are you've never set food inside a processing plant to see how many of these products are actually made. The term "processed food" is ubiquitous these days. The food industry has attempted to co-opt it by claiming canned beans, baby carrots, and frozen vegetables are "processed foods." Can you help explain why a Pop-Tart is years away from a "processed food" like hummus? You have to ask yourself, could I make a Pop-Tart or Hot Pocket at home, with all those same ingredients listed on the package? I don't know anyone who could do that in their home kitchen. How would you even go about procuring distilled monoglycerides and BHT, for instance? These are highly-processed food products loaded up with sugar and sodium, subjected to abusive processing conditions, and assembled with a litany of additives, many of which nobody ever consumed prior to a hundred years ago. Yet it is possible to make your own black beans at home by soaking and then cooking them. You could even attempt a rudimentary canning operation to preserve them. You can also make hummus by grinding chickpeas with a few other ingredients like lemon juice. The same goes for frozen vegetables and even baby carrots, though homemade baby carrots wouldn't look as pretty as the ones you buy at the store. 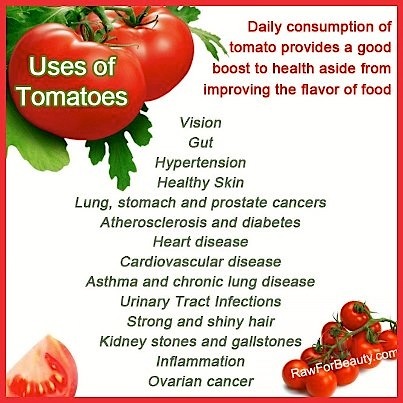 The "processing" these foods go through is minimal and not disfiguring. The end result still looks like a food that once grew on a farm. Many people are put at ease when government agencies and the food industry state that controversial substances are "generally recognized as safe." Why is this not as comforting as it sounds? The idea of something "generally recognized as safe" seems so reassuring, but the more you know about the U.S. system of food ingredient regulation the less cause there is for comfort. Pat salmon dry with a paper towel. Combine sugar, salt, and dill. Season generously with black pepper. Spread the mixture evenly over the salmon, pressing it into the flesh. 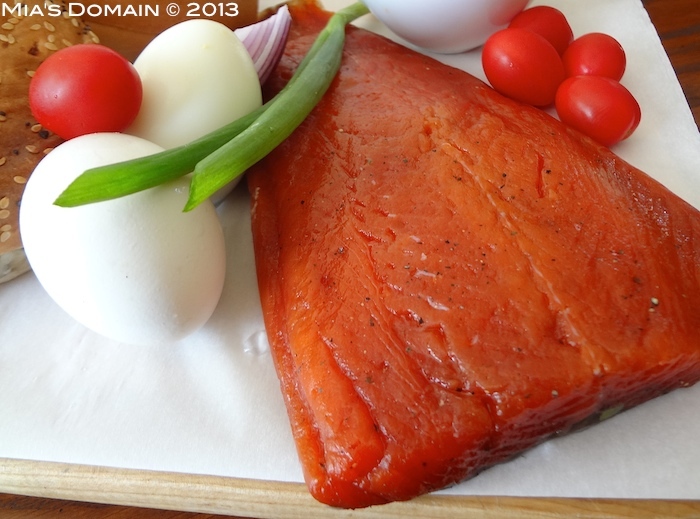 Wrap salmon tightly in plastic wrap and place in a large flat dish. Add another large flat dish on top of the salmon. Refrigerate for 4 days. Unwrap the salmon and rinse off under cold,running water. Pat dry. Rub olive oil over the top. 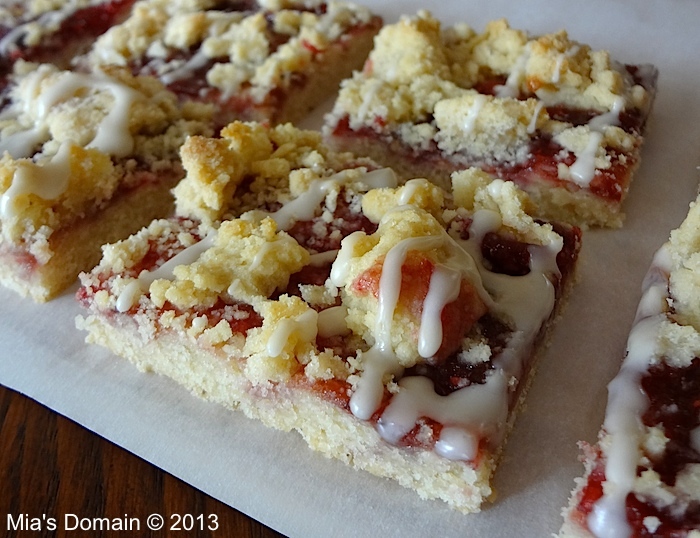 Slice diagonally into thin slices. Check your pantry. Do you have any cereals, crackers, cookies, snack bars, soy milk or baby formula in there? How about anything with corn syrup or processed food made from corn on your shelves? 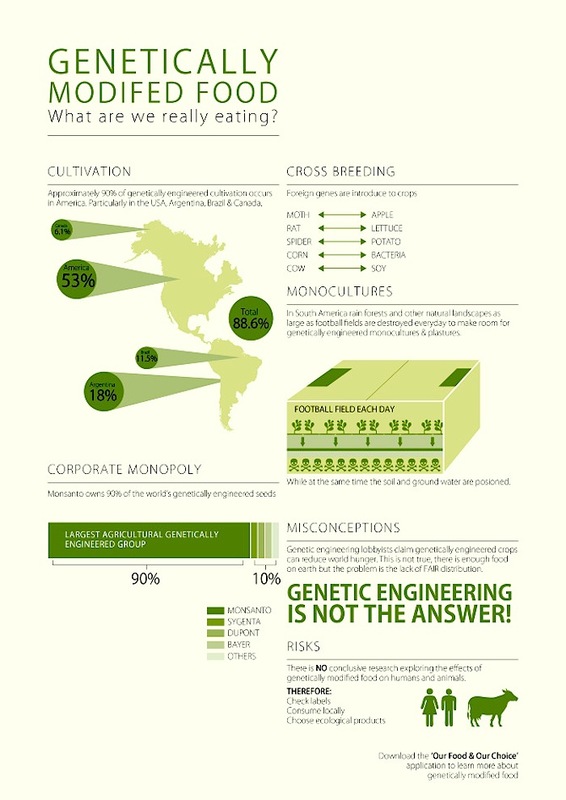 If so, you are probably eating food containing genetically modified organisms (GMOs). Research links GMOs to allergies, organ toxicity, and other health issues, though the U.S. Food and Drug Administration does not require safety testing for GMOs. Market watchers estimate that upwards of 70 percent of processed foods in your local supermarket contain genetically modified ingredients. However, there's no way to be sure of the percentage because no labels are required to inform consumers about the presence of GMOs in food. The top three GMO crops grown in the U.S. are soy, corn and cotton, according to the U.S. Department of Agriculture (USDA). 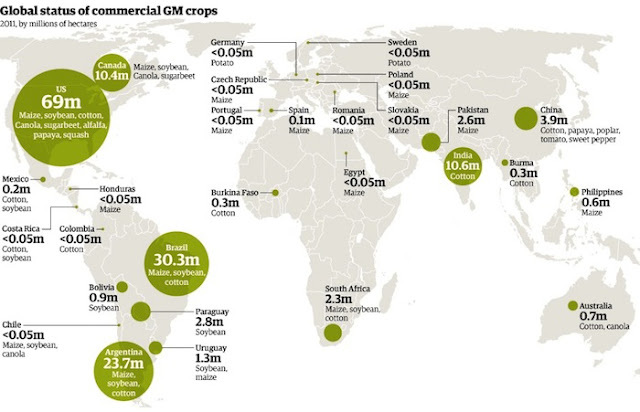 During the past 12 years, the percentage of acreage planted with GMO crops soared to over 80 percent for each of the top three.